Here’s a short video of some tattooing done at Tabernacle tattoo by Zenon Pawelski. 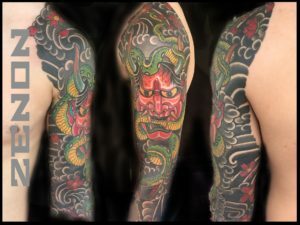 on this type of layout the video seemed to help the tattoo translate in a better perceptive. Composition is just as important as the drawings them self at times. We stenciled the major components and have drawn the rest together this tattoo was done in 16 hours with four sessions to complete. Florida year around is a beautiful place but especially during the summer. Its hot out and everybody is on the BBQ and beach scene. But most importantly its a great time for tattoos. There are plenty of visitors and tourists that come to Florida looking for a good time. What better way to commemorate your visit to Florida than a super tough tattoo? It’s awesome to be tattooing in Ybor City, we are located 5 minutes from the Port of Tampa and 15 from Tampa International Airport. Ybor is a hot bed for tourist activity and definitely one of the coolest places to visit in Tampa. There is so much history and energy in this town which only enhances the energy of the visitors that come into the shop and experience the magic. We want to meet you and your friends that are excited about Florida summertime tattoos. We’ve got everything you need to make the summer of 2018 the ultimate adventure. Call or stop by the shop we can make it happen! As always thank you for reading our blog! If you are coming near Tampa or are a local with awesome tattoo ideas we can make it happen for you either way. Send us whats on your mind on the contact page and have an awesome day!!!! Kyosai was an artist in Japanese history born in 1831, his artwork has influenced tattooing and many aspects of Japanese traditional tattoos specifically. He is most well know for his eccentrically crafted paintings. His talents were renowned throughout Japan during his most prominent days especially as a satirist, targeting the Japanese police force and other aspects of the government with his work. He received multiple jail sentences and countless lashings as a result of his persistence. Kyosai was a total outlaw in his time and a true inspiration. He has a ton of work that has influenced tattooing for over a century most of which got him at least a few lashings for his creativity. In a previous post we discussed the dynamic of an artist Hokusai and his studies, Kyosai studied the art work a great deal which turned out to be a great influence on him and his craft. This probably one of the primary reasons his artwork generates so much movement and visual impact. Kyosai was not a student of Hokusai however, he is considered as one of his greatest successors. By the time his life was winding down he was noted for his eclectic nature and exuberance in all facets of his life. He had created hundreds of publications, comics, Shunga, artwork, drawing etc all of which had significant influence in art and tattooing. 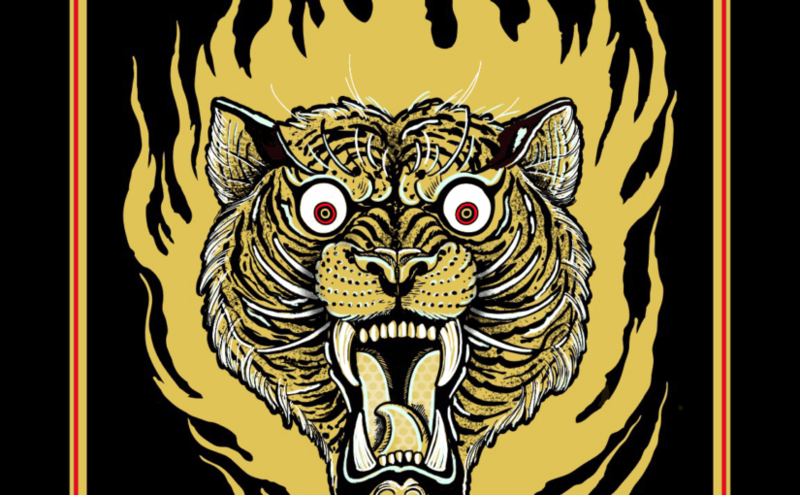 The Hell Scrolls is a personal favorite collection of imagery and worth checking out. 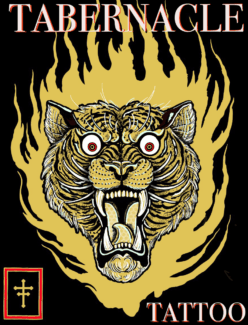 It is a dynamic depiction of the creatures and layers of hell that holds a lot of meaning in Japanese culture. Yomi, or Japanese land of the dead, is an exciting environment full of fire, torture and extreme pain for eternity. Crows with lava hot beaks eat you skin of and and the forrest leaves are blades, these are just a few of the terrors that await. Kyosai’s imagination was wild and fantastic, he was able to depict many amazing Japanese legends and creatures of folk lore so powerfully that it captivated Japan. As the western world moved in and began trading with Japan they were even intrigued by his creations and power images. 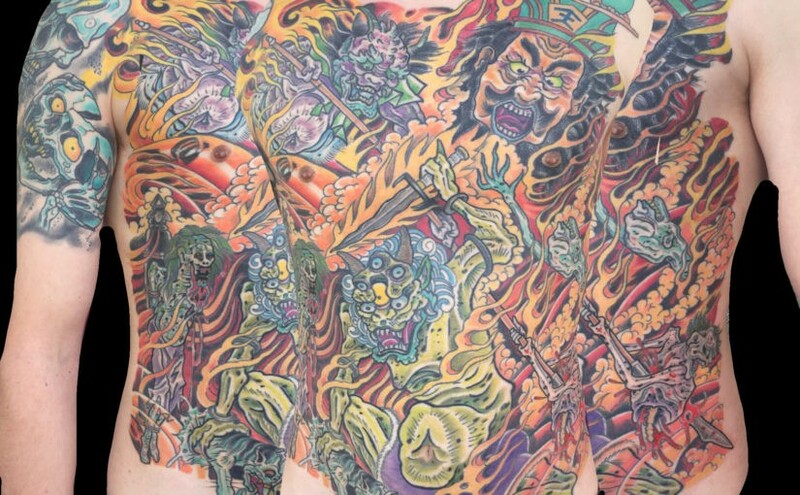 Timeless images have influenced tattooing specifically traditional Japanese tattooing for hundreds of years. 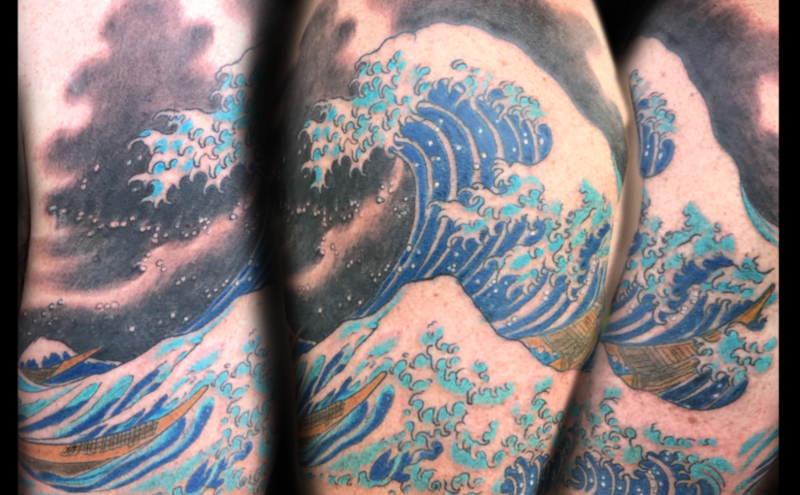 Because of Kyosai, Hokusai and many other artists we have lifetimes worth of tattoo reference. If you have any questions or comments we would love to hear from you shoot us an email at our contact page. Lets hear about your next tattoo idea!! It is always interesting to meet the new faces and to see the new people that come to our tattoo shop tucked away in Historic Ybor City. Tampa has a rich history of tattoos and culture as well as many great artists in one area but we feel like there is some magic in this shop. People from all over Tampa, Florida, the United States and the world have walked through these doors. It is always interesting to hear how people found the shop, sometimes its as easy as searching “tattoo shop near me” or driving by, some others have literally been on the journey, seeing a sticker in town and matching the image to its originator. All of it is a testament to the quality product we put out here everyday (If you haven’t checked out one of our galleries feel free to do so). In some ways its like going on a quest we are off the main path but still very visible, the two cobras on the wall are your proverbial “X marks the spot”. The Quest for the treasure chest is important sometimes because it brings a sense of value and meaning in a world where instant gratification reigns supreme. As the saying goes you have to trust the process. We all want something now or not have to leave our homes because we can just go on the internet and order our groceries and clothes and have it shipped to our house in a day. However, groceries get eaten or go bad, clothes go out of style, but tattoos should be built to last. So is it reasonable for an individual to find the instant tattoo close by or do the research? We are happy that a lot if not all of our clients come with awesome tattoo ideas and tattoo reference to give us an idea of what they are thinking and what they like so we can create a bullet proof custom tattoo for them. 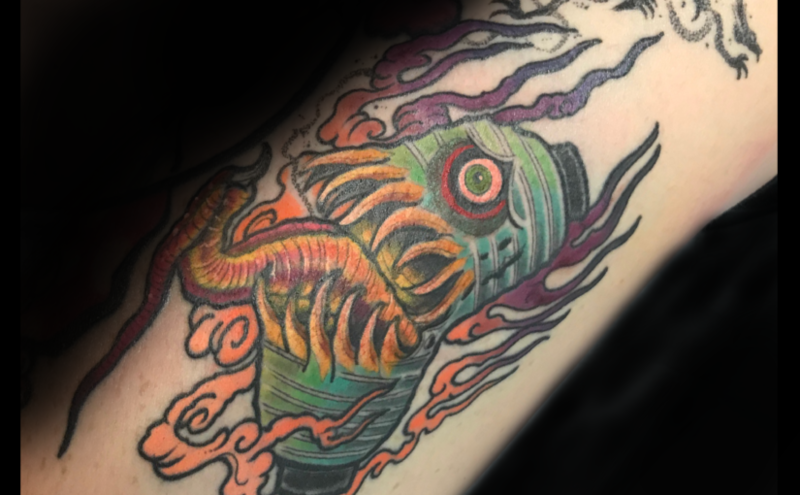 We appreciate all the ideas and research so much because it shows us that our clients want a quality product and care about tattoos built to last. 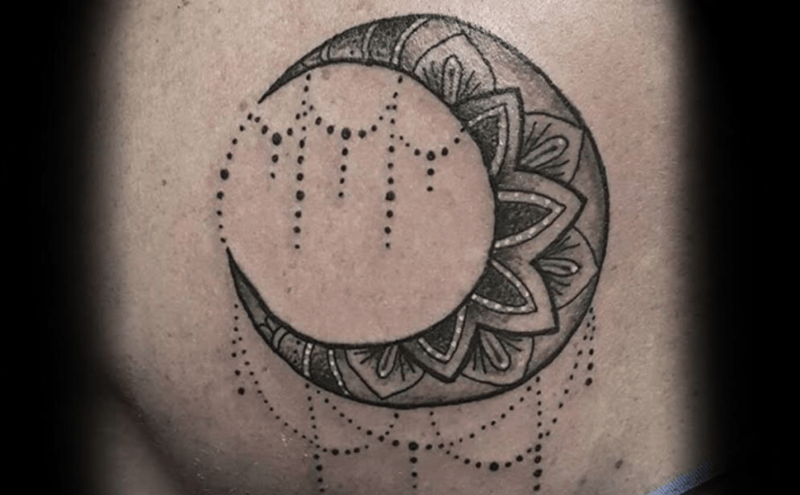 We explain the process throughly and are prepared to answer any and all questions that may arise to establish a trustworthy relationship between client and tattooer. We feel this is one of the most important steps on the quest. It allows us to increase our knowledge, study and put a lot of research into a tattoo for our client. 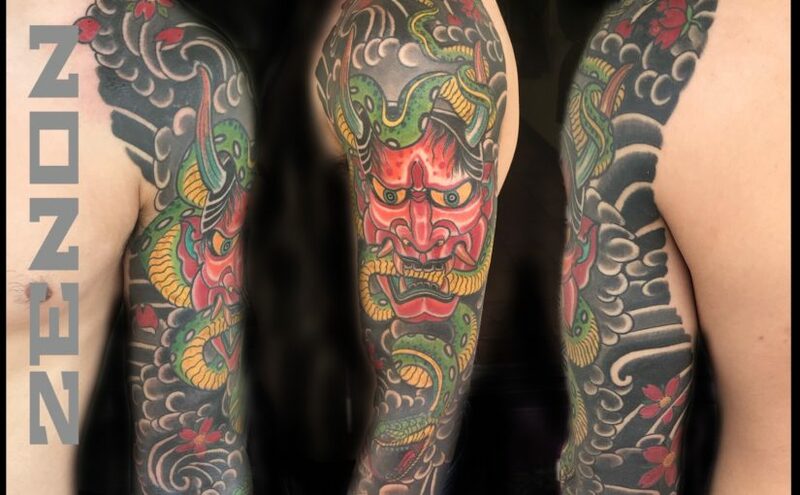 This is not just limited to the big pieces, our walk-in’s and appointments that want smaller work get the same level of detail and attention to their tattoos. 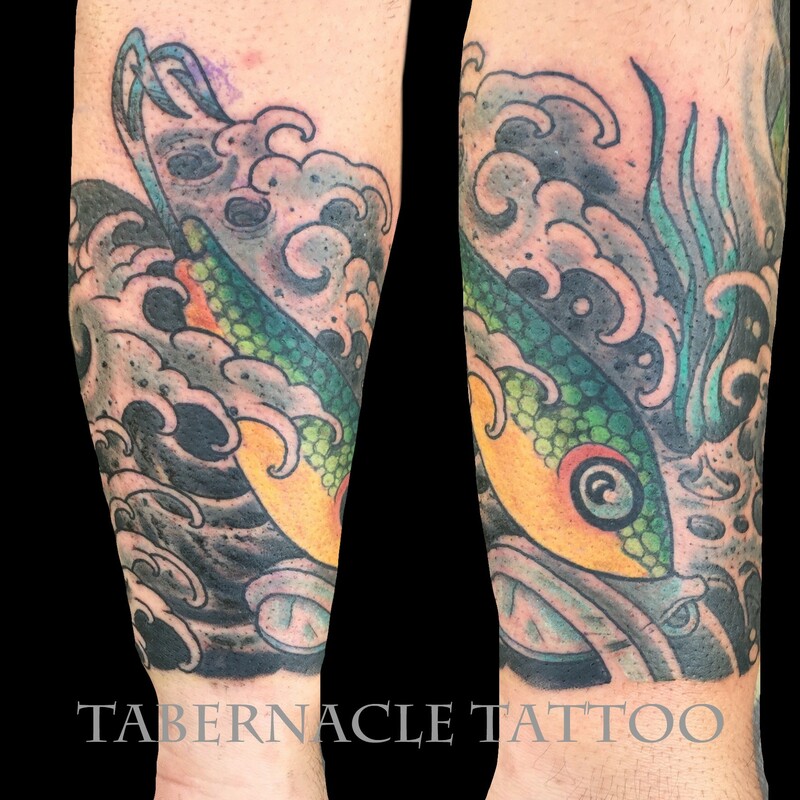 It is important that every tattoo that comes through Tabernacle Tattoo is treated with a great deal of care and hard work. With the principles we truly feel we can set ourselves apart from the pack and offer our clients the best level of tattooing possible. As always thank you for reading our blog hopefully this gives you some insight at the process. If you have any questions or want to discuss ideas for your next tattoo, please feel free to stop by the shop or reach out to our contact us page we would love to talk to you!!!! 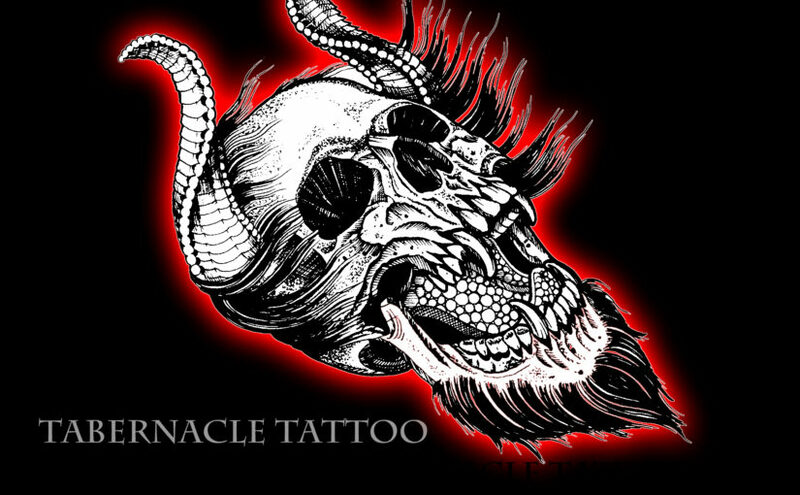 Tabernacle Tattoo YouTube is getting ready to Heat UP!!! Our YouTube Channel is about to blow up with the hits!!!! Get ready for excellent tattoos, great music and a good time with your favorite cast of characters Z, Juice, WildBoy, Chico Zapico, Scott, Emmanuel the Dragon and many more………..
With all this hard hitting tattoo action how can you resist?!?!? Click the link above if you’re ready to see Tampa tattooing at it’s finest. Epic tattoos and adventures are just a click away!!!!!!!! We just posted our first video in a while and will be video documenting and blogging our adventures in the tattoo game of Tampa, FL and beyond. 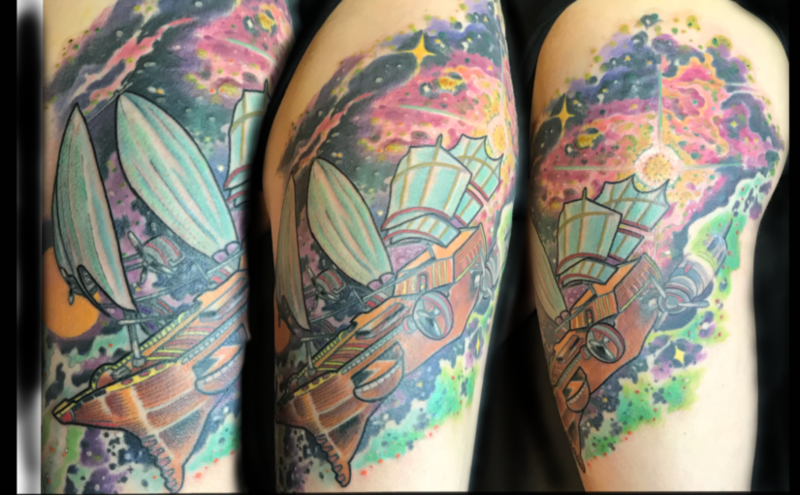 The premire tattoo shop in Tampa is here to help bring all your tatto ideas to life! Feel free to comment or get in contact with us about your next tattoo. Even better come by the shop we would love to meet you! Thank you for reading our blog post, have a great day! We recently attended the Imperial Art & Tattoo Festival in Jacksonville, FL and got to check out some awesome tattooers and their work. Every booth was cool there was so much cool stuff I got so many shirts and stickers I had some left over for my homie WildBoy. At the Imperial Art & Tattoo Festival we ran in to some friends Bart Andrews and Pepper Spicy of Unify Tattoo Co in St. Augustine Florida, and got to do a little tattooing while we were up there as well. We also hung out with Angelo Miller and Eric Inksmith who studied under the lineage of Paul Rogers of the Famous Inksmith & Rogers Tattoo Studio all-in-all it was a great trip and always cool to hang with the titans. Thank you for reading our blog! We hope to hear from you soon!